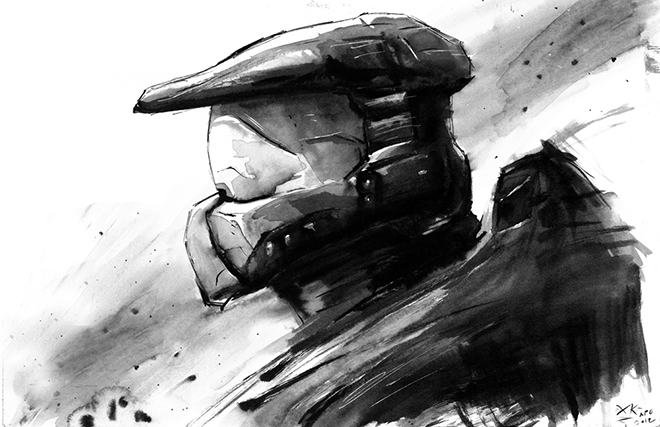 RedGrimRune has done a rather fantatic ink wash of everyone's favourite spartan, Mr John 117. I wonder what the Chief is thinking? Is he more human than you, man?